Spring brings these beautiful daffodils! I love them. They are incredibly cheery! It’s still on the chilly side here in Maine, so it’s great to have a little color to cheer one up. I think that I will do a series of these. This one I have decided to give to a friend, but I will miss it, so on to the next one. I thought I would be able to open my Art Shed last weekend, but it was still too cold and other chores caught up to me. I am hoping that this weekend will be full of good weather and some extra time. I need to open the shed and make a plan for the summer projects. 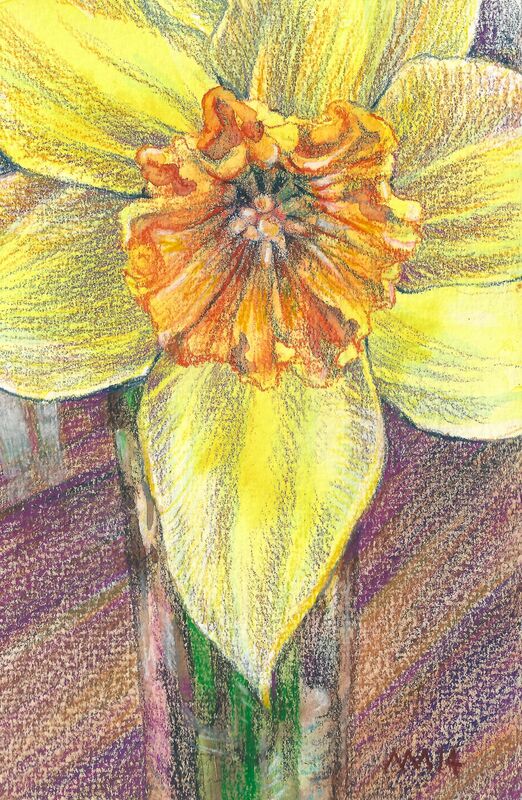 This entry was posted in Uncategorized and tagged colored pencil, daffodil, small painting, watercolor. Bookmark the permalink.